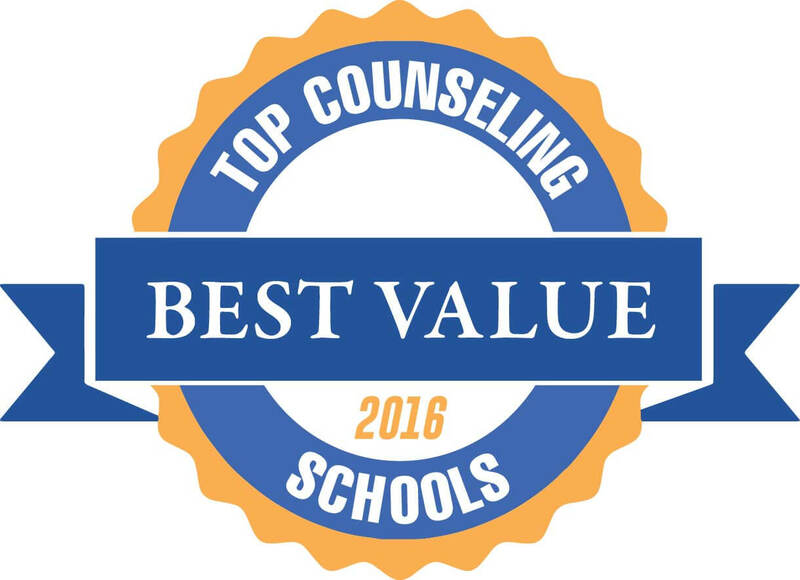 Welcome to our ranking of the six top value master’s degrees in counseling in North Carolina. If you’re thinking about earning your master’s or Ph.D. in counseling and you live in North Carolina (or you would like to) take a look at these top-ranked schools. When it comes to academic variety in counseling education, North Carolina is one of the most diverse states in the Southeast. Even on this list of just six colleges, you’ll find big schools, small schools, religious schools, and public schools; programs to fit every budget and nearly every academic interest; and accredited master’s degrees in counseling that have earned accolades not just from the Council for Accreditation of Counseling and Related Educational Programs (CACREP), but several other agencies in higher education as well. 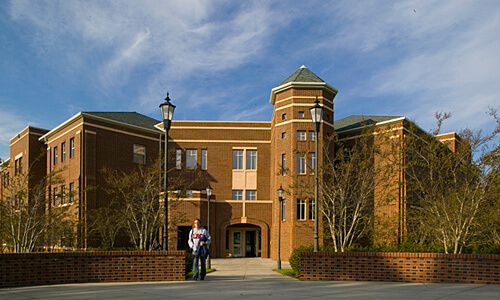 Gardner-Webb is one of the few colleges in the nation to offer a dual master’s in counseling degree with divinity studies. A wholesome, comprehensive, spiritually grounded education in counseling awaits students at Gardner-Webb University. As a master’s student, you’ll have your choice of programs in mental health or school counseling (both CACREP-accredited); marriage, family, and couples counseling; or even a dual-degree program that combines mental health counseling with the study of divinity. And while this unique interdisciplinary option is the only “official” degree that integrates faith into the curriculum, GWU makes a point to imbue a Christian ethic in all of its helping profession programs. As a result, students develop a cultural sensitivity and interpersonal awareness that fuels their success long after graduating from any one of Gardner Webb’s top counseling master’s degrees in North Carolina. The small stature of UNC Pembroke’s counseling graduate degree program provides a benefit to students who seek an engaging, interactive experience. Clinical Mental Health Counseling, M.A.Ed. If you’re “committed to improving the mental health and human development of individuals served in schools and communities,” then your goals are directly in line with those of the counseling faculty at UNC Pembroke. 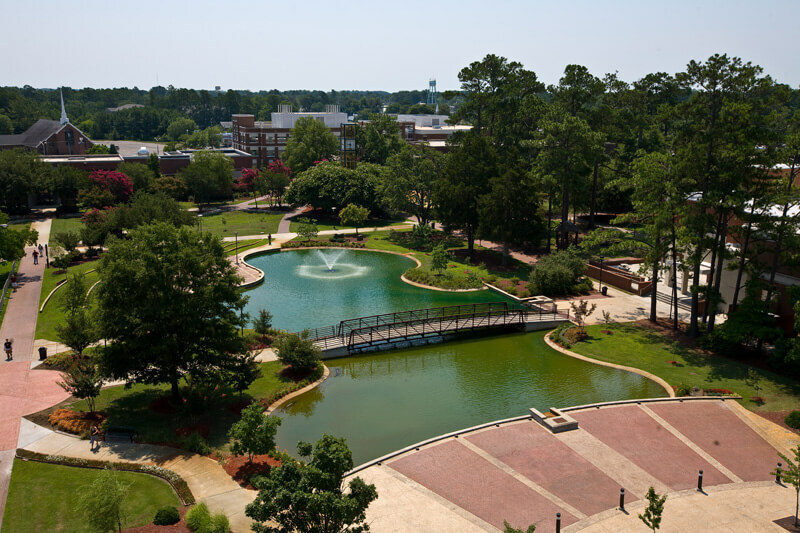 Academic programs in clinical mental health counseling and professional school counseling provide a standard selection of counseling degrees, and yet UNC Pembroke is anything but standard. Due to the small size of the department, your largest class will have no more than 20 students, and there’s a good chance you’ll get to know all seven of the counseling professors on a personal level. Factor in the incredibly reasonable tuition costs, and all this adds up to an affordable master’s degree in counseling. North Carolina Central University’s accredited master’s degrees in counseling have earned international recognition for their superior quality. It’s not hard to stand out on a counseling master’s degree ranking of just six schools, but what would it take to stand out on a national level? North Carolina Central University has accomplished this difficult task. Not only are all three of its counseling graduate degrees CACREP-accredited, but they all also have international approval from the International Registry of Counsellor Education Programs (IRCEP). In addition, the career counseling track — which most schools don’t even offer — was one of just eight programs in the country to receive special honors from the National Career Development Association. 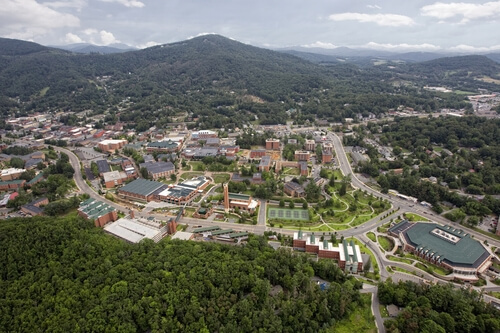 The affordable counseling graduate degrees at Appalachian State University offer more than enough bang for their buck. The Department of Human Development and Psychological Counseling is a serious force at Appalachian State University. How? Let us count the ways. Of course, the school and clinical mental health counseling degrees both have CACREP-approval, which is practically a requirement for any school on this best counseling master’s degree ranking. But the school counseling track is also accredited by the National Council for Accreditation of Teacher Education (NCATE), while a third track in marriage and family counseling boasts accreditation from two highly specialized agencies: the Commission on Accreditation for Marriage and Family Therapy Education and the American Association for Marriage and Family Therapy. ASU is also home to a College Student Development program that includes two unique specializations in Student Affairs Practice and College Outdoors Programs Administration. If flexibility is what you’re after, look to Lenoir Rhyne University for some of the best master’s in counseling degrees in North Carolina. Just because you want to earn a master’s degree in counseling in North Carolina doesn’t mean that you can travel clear across the state to get it. 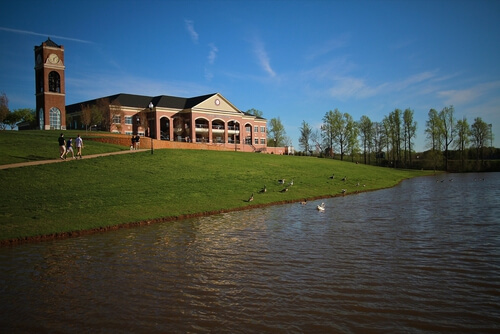 Lenoir-Rhyne University understands this limitation well, and has responded by offering flexible counseling graduate degrees that offer courses on the main campus in Hickory as well as at a local site in Asheville. LRU even extends educational opportunities to the state’s southern counterpart through a regional graduate studies center in Columbia, SC. But wherever you choose to study, you can rest assured that you’ll receive the same great education that has pushed Lenoir-Rhyne to the top of this North Carolina master’s in counseling degree ranking. 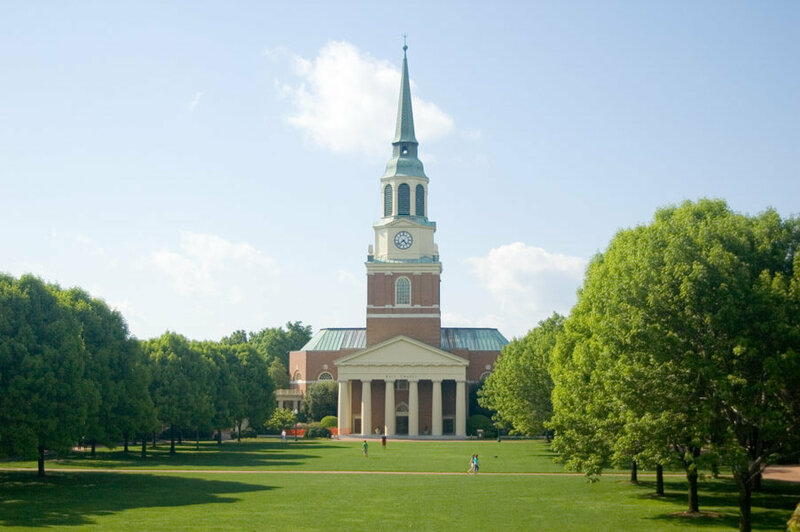 Students who attend Wake Forest University’s top counseling master’s degree programs are practically guaranteed to find a job with ease and pass their exams with flying colors. 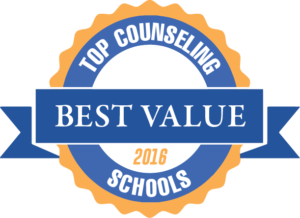 How could a school that costs more than $30,000 a year to attend possibly earn first place on a ranking of “top value” counseling degrees? Consider this: tuition costs accounted for 15% of all the points we awarded in our methodology, and we’ll admit that Wake Forest didn’t earn many for its annual price tag. 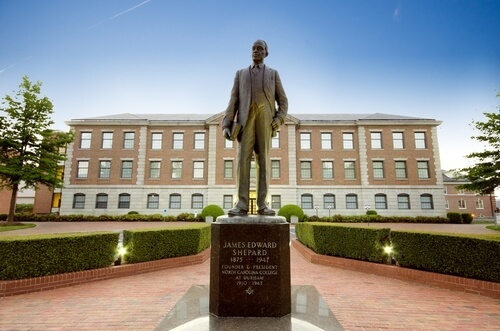 And yet it still deserves to say it has the best counseling master’s degrees in North Carolina, thanks to an accreditation that spans back nearly 15 years and program completion, job placement, and exam pass rates that are all at or near 100%. As an added bonus, Wake Forest University’s online and part-time master’s in counseling degrees secured accreditation in 2012, granting even more students access to a truly valuable academic experience. This concludes our ranking of the best graduate degrees in counseling in North Carolina.